Primary hyperparathyroidism in children is rare, but when it occurs it can destroy a child’s life with kidney stones, depression, fractures, and a failure to thrive and be happy. “Primary Hyperparathyroidism: The Silent Destruction of My Teenager” is a mother’s story of how a dozen doctors ignored the obvious parathyroid problem that ruined the life of her teenage daughter for nearly 6 years. If this story cures one child and is read by one pediatrician or pediatric specialist my time will have been well spent. I wanted to capture and share everything she has been through these past 6 years so this story is a bit longer than I had anticipated. But as I have learned, most teenagers with hyperparathyroidism see many doctors before one of them gets it right. Teenagers “don’t get parathyroid problems” so even the endocrinologists get it wrong. I am so angry and furious with these doctors who watched my daughter suffer when the answer was right under their noses: They knew she had hyperparathyroidism but they didn’t know what to do, so they did NOTHING. I am just a mom that loves her children and mine are teenagers. Parents know their children better than anyone else, so when something does not seem right we fight to find an answer, unfortunately it may take more time than it should, like in this case. For the sake of my daughter’s privacy I will refer to my daughter as “Ashley”. Here is my teenage daughter’s life these past 5 years. It’s heartbreaking, but she is cured now! Ashley is a teenager, almost 16 years old. When she was 12 years old she had a kidney stone. Preceding this event she had blood in her urine and lower back pain. I took her to the pediatrician thinking she had a urinary tract infection. To my surprise she had no infection but very high calcium in her urine. An ultrasound of the kidneys was ordered but it was negative. Three days later I got a horrific call from Ashley while I was at work. I could feel her pain in her cries through the phone. I suspected it was kidney related so she went right to the nurse’s office at school. Ultimately my husband picked her up from school that morning and took her to doctors’ office, they sent her straight to the emergency room for pain management. She was diagnosed with a nephrolithiasis (a kidney stone). 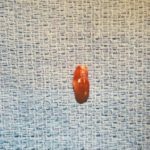 A 12 year old with a kidney stone, you don’t hear that very often. I look back to that day and am grateful she had that stone but am so very, very dissapointed that nothing was done and the destruction of this beautiful girl continued for years. Because of the kidney stone, we were referred to a Pediatric Nephrologist. He completed a very thorough physical and numerous labs were ordered. This was October 2013 more than 3 years ago and Ashley was diagnosed with Primary Hyperparathyroidism that day. The doctor came across to us as this hyperparathyroid thing really was not a big deal. We’ll keep an eye on it for a while. Ashley will have to “watch her sodium level consuming no more than 2 Grams per day, drink a lot of water and avoid foods high in Oxalate” was her advice to “treat” her hyperparathyroidism due to a tumor in her neck. Yes, in retrospect I am kicking myself, but we are taught to trust our doctors and I trusted. He ordered a sestamibi scan to see if we could find a parathyroid tumor or parathyroid adenoma, but it was negative. He didn’t know what to do, so he referred us to a Pediatric Endocrinologist. Pediatric Endocrinologists Typically Don’t Know Much About Parathyroid Disease and Hyperparathyroidism. We took Ashley, our “teenager with hyperparathyroidism” to see this new doctor; we had a lot of anticipation. I always prided myself because my kids were so healthy and they only went to their pediatrician once a year. The endocrinologist we saw either had the wrong chart or just was not willing to admit he had no idea what to do with Ashley. He acknoledged that her calcium was very high and her PTH was high, but he didn’t know what to do. We left with no answers. There is nothing to write about this visit because nothing was done. It was a waste of time and shameful. What’s wrong with these doctors? If they don’t know, can’t they spend 5 minutes on Google, or make a simple phone call? Nope… nothing was done. “She has hyperparathyroidism. Come back in a year if things get worse.” Really, that’s the best you can do? Let me rewind Ashley’s story to when she was 10 years old. She started acting very unusual. It was gradual but it was very obvious something was wrong. She started to become very anxious and developed obsessive compulsive disorder. Her repetitive actions were becoming concerning. When I asked her why she was doing these things, she said if I don’t do them, then something bad will happen. Her OCD got worse and worse and I knew she needed help. She started to see a psychologist. Ashley was so embarrassed. She had no desire to see any type of professional to discuss her issues–she has always been a very private person. Until she was ready to talk and seek the help she needed this was not going to work so we withdrew her. At 12 years (not even a teenager yet), Ashley was a nervous wreck. Her repertoire of mental games she put her mind through was visibly upsetting her, she asked for help this time. Unfortunately she could not open up once the psychologist recommended we put her on medication. I adamantly refused to allow her to go on any form of medication and Ashley did not want to either. Round 2 of mental health therapy, unsuccessful. During this time we continued to see the nephrologist for repeated lab work, in fact over the course of three years Ashley had nine calcium studies and six parathyroid hormone (PTH) levels drawn by this doctor. All calcium levels were high (above 11.0 mg/dl, and as high as 13.2 mg/dl). All parathyroid hormone levels were high (about 110), and she had 2 Sestimibi scans, both of which were negative. The nephrologist continue to wait and watch. He made no phone calls. He did no research. In retrospect, I hold him the most responsible for the years this parathyroid tumor stole from my little girl. Ashley was now 13 and in seventh grade. She isn’t a child anymore. She went out for the track team and shortly into the season she developed a stress fracture in her lower leg. I took her to a sports medicine doctor. The first thing I told him was “Ashley has primary hyperparathyroidism with high calcium and high PTH”. The doctor looked at Ashley, told her to walk gently for two weeks and come back if her foot still bothered her. Two weeks later I took her back to the doctor. I had requested a different doctor since the first one didn’t seem to “get it”. I told Dr. Number 2 that Ashley had primary hyperparathyroidism diagnosed with high calcium and kidney stones, and that she also was suffering from OCD and anxiety”. His response was “no running for six weeks”. She would have to sit out her track season. Ashley now has a fracture of her lower leg, kidney stones, mental health issues, and five doctors ignoring these symptoms. They know she has primary hyperparathyroidism due to a parathyroid tumor. They know her blood calcium level is very high every time it is measured. Her parathyroid hormone (PTH) is high every time. But her pediatrician says to me, “The nephrologist you see is very thorough, almost too thorough. Maybe this parathyroid thing isn’t that big of a deal. We can continue to watch it.” The pediatrician knew of her symptoms and diagnosis of hyperparathyroidism, but because she didn’t know what to do about hyperparathyroidism in a teenager, we did nothing. We didn’t ask for help. We just ignored it. Daily Struggles of Hyperparathyroidism: Being a Teenager is Hard Enough! Ashley is now 14 years old; in the prime of her teenage years. Her OCD had gotten so out of hand. She finally admitted that she needed help and was willing to work with a therapist this time. I found a new psychologist that she connected with and had a positive experience. We worked with this therapist for a year. Ashley was learning to control her anxiety and OCD but it was still a daily struggle. Unfortunately her brain continued to get the best of her. One day I literally had to pick her up off the front yard because she had worked out to the point of exhaustion. Ashley would do hundreds (I am not exaggerating) of sit ups and various core exercises because of her obsession with counting and a mind for perfectionism. The next day I took her to see her pediatrician. Ashley’s mind was destroying her body and life, but as of yet, nobody was connecting the obvious mental health issues with the hyperparathyroidism. I had to make the agonizing decision to put her on medication from the recommendation of her pediatrician to control her OCD. By this time I had heard high levels of calcium in the blood can cause mental health issues, why was nobody checking into this possibility? When I asked the pediatrician about a potential connection between mental health problems and high calcium and hyperparathyroidism she said “no, a lot of kids have anxiety”. She didn’t pick up the phone. She didn’t spend one minute on Google to find the correct answer. She did what all the other doctors did–she made up an answer right on the spot. She doesn’t have any experience with hyperparathyroidism in children or teenagers, so she ignored it. I didn’t know either… I just didn’t know what to do. Ashley was mortified to go on a medication. She finally agreed to try it. I should have done more research. To this day my heart breaks because that was not the answer. I feel it has been like a placebo effect. We are thinking we see a difference, but are we? Ashley is now 15. She is no longer a child, she is a young woman, but yes, still going through her teenage years. She had a successful cross country season her freshman year in high school. Starting into winter track she developed another stress fracture of her foot. Once again I went to the same sports medicine doctor, and I said “she has primary hyperparathyroidism, could this be the cause of it? Ashley had not been over-training, she has an excellent diet”. He said no. He never made a phone call. He never looked at Google to find more information. He doesn’t know anything about hyperparathyroidism so he just made up an answer like every other doctor. He still felt she was over-trained. Ashley was incredibly slow to heal this time. She continued to train daily in the pool. Six weeks after her injury he commented on how horribly tired she looked. I said to the doctor “she always looks that way, Ashley is always tired, however she has never complained about it but she always looks like that.” Both times we saw this orthopedic surgeon she looked that way. He even called Ashley’s coach and commented on her fatigue. Ashley’s grandma had always commented on her fatigue. The sports medicine doctor ordered a Vitamin D level. The lab results came back, they showed she had low vitamin D. He put her on calcium and vitamin D. I told him again about her primary hyperparathyroidism with high blood calcium because I knew she couldn’t have calcium, but I did not know about the vitamin D. So we avoided started taking vitamin D. He then referred us to an orthopedic doctor who specialized in foot and ankle. Once again the first thing I told the orthopedic doctor was Ashley’s diagnosis of primary hyperparathyroidism and suggested that it was playing a role in her recurrent bone fractures and slow-healing bones. He must not have heard me. He felt she was going to be OK and gave her the approval to start running again. By this time it was mid May and the high-school track season was coming to an end–Ashley loved to run and now she had missed her first two track seasons. She had religiously cross trained 6 days a week since the beginning of February hoping to run at least once in the outdoor season, but this never happened. She was devastated but she never complained or had pity on herself. She held her head up and moved on. Ashley very gradually and slowly started building her miles to prepare for her sophomore year of cross country. She even crossed-trained to keep her risk of re-injury to a minimum. She had so many goals and dreams of making this her best season. Her first 2 races were very successful. It looked like she was going to hit her goal of finally breaking 18:00 for a 5k run. Another stress fracture: Hyperparathyroidism continues to destroy my girl. Two weeks into September, 2016, Ashley came to me and said the dreaded words, “mom, my other foot is bothering me”. I got her into the same orthopedic doctor early the next day, the same one we saw 4 months prior. He felt it was just a stress reaction. He said rest a few days then run and see how it is. Ashley convinced him to order an MRI. We were lucky and had one the same day. Later that day the nurse called. Ashley had 5 stress fractures in her right foot! He immediately told her no activity for one week then come back in for a follow up. Ashley was devastated. A week later we sat in his office again. The first thing I said “could her primary hyperparathyroidism cause this”? He said “no, she has female athlete triad”. (this is a triad of 1) eating disorder, 2) lack of monthly menstrual periods (amenorrhea), and 3) osteoporosis and fractures). He made it very clear he felt she had an eating disorder which is causing her amenorrhea and osteoporosis. He said “I am going to refer her to Cincinnati Children’s Hospital where a whole team of doctors can help her”. I was sick. Of course I was her mother and I know this was not the case! I knew this was the furthest from the truth. Ashley’s diet was excellent. She was 5 foot 5 and weighed 119 pounds. She wasn’t anorexic. She wasn’t skinny. If she had a problem I would be the first one addressing it. Again, we had a doctor that knew nothing about primary hyperparathyroidism and instead of spending 5 minutes looking it up, he made up some other “reason” for her symptoms and washed his hands of us. Primary Hyperparathyroidism in Teenagers: What does Google Have to Say? Parathyroid adenomas in children are almost never seen on sestamibi scan. I finally took to Google and oh how I wish I had done this years earlier instead of trusting the doctors. I typed in primary hyperparathyroidism, osteoporosis. Jackpot! Words cannot describe my anger. Why had this been overlooked for years when there was so much about it on the internet? Hyperparathyroidism in teenagers is not very common which should have been a red flag to all her health care providers. Every one of them should have Google’d this and everyone of them would have known what to do. But NONE of them did. I found the website, parathyroid.com and emailed the office of Dr. Norman. Later that evening I received an email directly from Dr. Norman and we discussed the numerous issues with Ashley. Finally I knew I had found the best doctor and hospital to care for her. The next day I had everything sent to Dr. Norman’s office and then filled out the patient information forms. Ashley was going to get her life back! Dr. Norman called me 2 weeks later after he reviewed her medical records. He wanted to do her surgery soon. It was now early October. I told him I wanted to wait till November after her cross country season. I know she needed surgery, the sooner the better, however K’s past 3 years had been full of disappointments and let downs. I was not going to disappoint her again. I know Dr. Norman was not pleased with this but I felt deep down he understood. Ashley had been cross training in the pool now for 5 weeks. She wanted to run in her post season. I scheduled her surgery for November 15th. Ashley went on to be District Champion, 5th place at Regionals, All-Ohio at the State meet. She ran her last race at Nike Midwest Championships with a time of 18:17. She did not break 18:00 this season like she had hoped but training in a pool for 5 weeks and 8 sessions in an anti-gravity treadmill, I think she did a great job. She never lost her drive, determination and passion. 16 hours after her last race we were on the first flight out, bound for Tampa, Florida to cure her of her hyperparathyroidism and have her parathyroid tumor removed. Ashley had surgery on November 15, 2016. Dr. Norman removed a parathyroid adenoma about 2cm x 1cm. The hormone level of the adenoma was 1548. I was in tears when I was shown the picture. Ashley had been through so much. She was cured in 22 minutes but it was going to take months for her bones to get strong again. Living with Hyperparathyroidism for 1/3 of Her Life: Cured in 22 Minutes. When I ask Ashley how she feels now 3 weeks after surgery she says “fine”. What I realized is, Ashley does not know normal. She has lived with hyperparathyroidism for a third of her life. How can she know normal? She is learning a new normal. I have definitely noticed some positive changes. Her energy level has increased, I observed her mental health is balancing out. I know over time she will notice that things are definitely different. We will give an update in a few months! How do I forgive myself? How did this happen? Why are the doctors so ignorant? I will never be able to forgive myself for letting this go on for so long. I failed my daughter. I should have fought harder for answers. I should have demanded more from the doctors. I should have educated myself online. I should have not trusted the doctors when I could see in their face and tell by their actions they didn’t know what to do. Why don’t they just say they don’t know instead of simply making up an answer? Why don’t doctors care enough to do a little homework. Clearly NONE of them spent even one minute online looking up hyperparathyroidism in children or teenagers. If you are a pediatrician please listen to the parents. They know their kids the best. Get a calcium reading every year. If it is elevated then don’t stop there. It is not normal. If a child has mental health issues get a calcium level. Don’t automatically prescribe antidepressants. There are so many signs of hyperparathyroidism, so be knowledgeable of all them. Ashley had so many classic signs and all were overlooked. To parents, if you know something does not seem right with you child then you are 100% right. Parents have that gut feeling when they know something is wrong. Trust yourself and do your homework. Don’t let what happened to Ashley happen to your child. What happened to Ashley should never happen. She should have had her parathyroid tumor removed as soon as she had her first high calcium, certainly as soon as she had her first kidney stone. As usual, doctors who don’t know what to do tend to do nothing. Endocrinologists and Nephrologists (and most other doctors) put FAR too much emphasis on the sestamibi scan and other scans trying to “find” a parathyroid tumor. These scans are NEVER to be used to determine who should or should not have parathyroid surgery. The failure of these doctors to move forward with surgery despite negative scans is bad care. To “watch” a child with hyperparathyroidism is terrible, yet it happens in almost all cases. In a recent review of 100 teenagers that we operated upon (by far the largest experience in the world) the average child had obvious hyperparathyroidism for 4 years, seeing 5 doctors. Even worse yet is when these children/teenagers are operated on by surgeons who don’t have a HUGE experience then the outcomes can be devastating. Within two months of operating on Ashley, we operated on two other teenagers who both had a previous surgeon operate on them (one had two previous operations). Both had all three normal parathyroid glands removed when the surgeon couldn’t find the tumor. Please folks, don’t let this happen to your children. Pediatric surgeons should not be doing this operation (my personal opinion). This is an adult disease and should be treated by adult surgical experts. Do your homework. Educate yourselves. The internet gives you tremendous knowledge and knowledge is power.